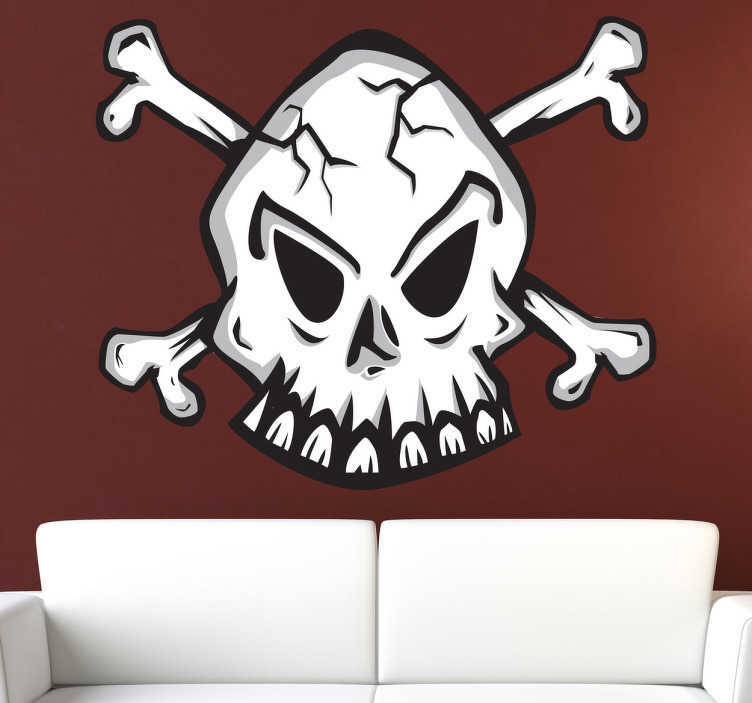 This vinyl decal of a classic emblem of a skull is mainly recognized as the pirate symbol. A design from our pirate wall stickers collection. This original decal also brings an intense atmosphere and is suitable for various occasions. This creative sticker is perfect for festive days such as Halloween! Is your child a huge fan of pirate decorations? Does your child love dressing up as a pirate or loves pirate adventures? If yes, you can use this fantastic pirate decal to decorate your child's bedroom or playtime. A great sticker to make sure your child enjoys playing as a pirate. It is also suitable for all ages. Also ideal for festive days such as Halloween or parties with a pirate theme. Guess what? Yes, it is also available in several dimensions. It is very easy to apply on your wall or surface and leaves no residue upon removal.